Fri., March 29, 2019, 1 p.m.
Are you looking for a fun family activity this spring? How about one that involves the outdoors and your brain? And what if that was all free? Too good to be true? It’s an entire world that lies just underneath the radar of normal life. Everywhere. Literally everywhere. Geocaching is basically a secret treasure hunt all over the world. It involves people who hide treasures and others who find those treasures using GPS coordinates. It is an amazing, and undoubtedly nerdy, kind of international game that millions of people do on a regular basis. And you probably never even knew they were doing it. Geocaching (pronounced jee-oh-cash-ing) is something that our family enjoys, both in our own town and traveling abroad. You can download the geocaching app for free onto your device and use it to find geocaches in your area. After you create a profile, your map will tell you where the hidden treasures are, what size they are and include any hints that you need to find them. Once you find the treasure, you can tell the app that you found it and then leave a comment about it. The free version only shows those geocaches that are close to you. You can also purchase the paid version for $9.99. It allows you to view geocaches not in your proximity as well as extra special ones nearby. The free version is definitely the way to go to get your feet wet. A geocache can be any kind of object. This is the fun part of it. They range from super large boxes to tiny screws. I have seen ones that are Tupperware wrapped in camouflage duct tape to fake pieces of chewing gum with a hidden compartment underneath. It is all up to the discretion of the person who hides it. The caches can’t be buried, but they can be sneakily hidden where you have to really look to find them. The fun part of the GPS coordinates is that the coordinates are only guaranteed up to about 30 feet away from an item. It is up to you to find the geocache. Once you find it, there is normally a log book inside where you can record that you have found it. Larger geocaches also contain swag, which are free items that you trade. If you open a geocache and find a cool trinket, the rule is you replace whatever you take with something else. The stealth part is the most fun. Geocachers around the world try to find the treasures in plain sight. Geocaches can be hidden in forests along trails, on road signs down a country road or in more public places like under a bench in a busy shopping mall. When searching for a prospective cache, I recommend reading the description of it. Most geocaches are placed with a purpose in mind: either to teach others about a historical figure, town or in remembrance of someone. Our family has found a wide range of caches – the largest a suitcase in Ohio, the coolest one in a backyard in Illinois and the stealthiest one in downtown Chicago under a mailbox. Children were staring out their backseat windows wondering what we were doing on our hands and knees on the sidewalk. Geocaching is a wonderful opportunity for you to get out into the world with the family and do your best at finding hidden treasures. Start with taking a walk while secretly following coordinates to a geocache in your area. Fair warning though, it is addicting. Want to find out more? Go to www.geocaching.com and also look for the short “What Is Geocaching?” video on YouTube. 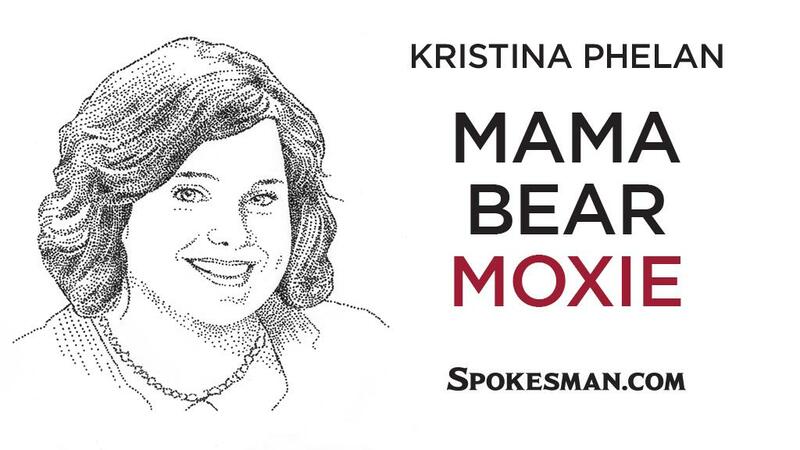 Kristina Phelan is a former Spokane-area resident now living in Illinois. Visit her website at www.mamabearmoxie.com. Published: March 29, 2019, 1 p.m.